Today, 34% of the American workforce is made up of freelancers, contractors, or gig workers. This group, known as ‘the contingent workforce,’ is steadily growing. To give you some perspective, between 2014 and 2017, the U.S. workforce grew by 2.6%. Comparatively, the number of freelancers rose by 8.1%. At this rate of growth, contingent workers are forecasted to account for over half of the total U.S. workforce in the next decade, according to Upwork. 1. Extend the same employment screening protocol to contingent workers. The same criteria you use to screen someone in a full-time or traditional employee role are the same criteria you should use to screen someone who will represent your company on a more temporary or contingent nature. This basic risk management process can make a big difference when it comes time to defend your organization against a negligent hiring lawsuit. More than that, it can help you improve trust, safety, and productivity across your workforce. 2. Evaluate the risk of each contingent role within your organization. An upside of contingent workers is their ability to fill gaps where needed, whether it’s covering for an employee on leave or providing specialist support for a specific project. Regardless, it is the employer’s job to make sure roles are screened at the appropriate level. As with your permanent workforce, some roles require a more rigorous background check than others. The level of scrutiny needed will likely boil down to the nature of the work involved, such as whether access to highly sensitive data is required for a worker to do his or her job properly. 3. Ensure you have a smooth workflow to onboard and facilitate the screening process. To lessen the workload on your staff and streamline the screening process, an ideal background check process will utilize automation and self-service as much as possible. This is particularly useful if you notice regular turnover in contingent roles — a common trend across the contingent workforce. Ridesharing exemplifies the high turnover of contingent workers: half of Uber drivers leave within a year and 11% are gone within a month. Employers, therefore, will need to take into consideration factors such as their rate of turnover to create a screening protocol that matches their organizational needs. 4. Make your screening policies known. A great way to build a safer contingent workforce is to ensure your company promotes its safe hiring practices. This transparency sends the message that a company takes its screening process seriously for all workers, which can deter the wrong people from applying in the first place. 5. Remember, all of your workers represent the face of your brand. Think about it, your workers (contingent or not) are the face of your brand. Regardless of whether they’re on backend or frontend of operations, their work directly contributes to your product or service, and therefore your reputation. As a result, it is critical to be aware of a worker’s fitness for a particular role. 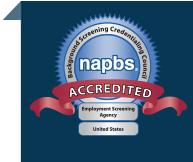 Does your background screening program need to be evaluated or updated to better account for your contingent workforce? Talk to a Proforma Screening Solutions background screening expert today.